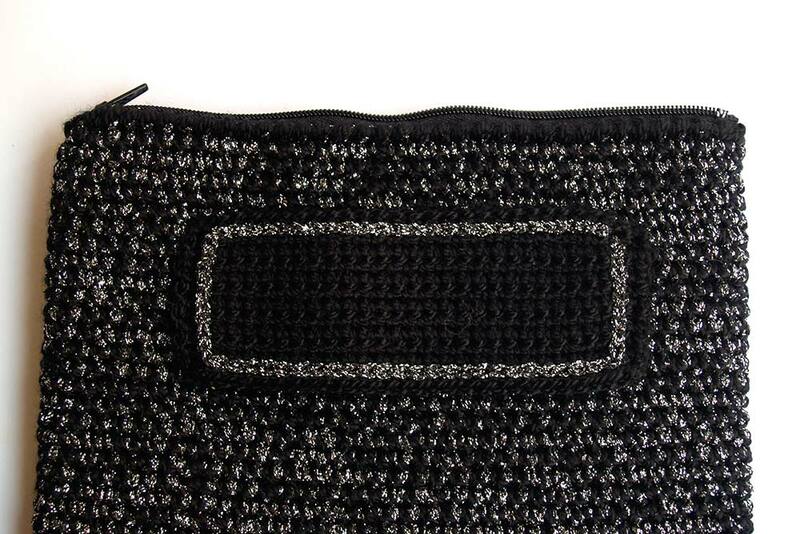 Prepare your autumn nights with a surprising crochet clutch. Nowadays it is easier to carry a clutch. Someone “invented” a handle for these kind of handbags. You use your hand for hold comfortably the bag. 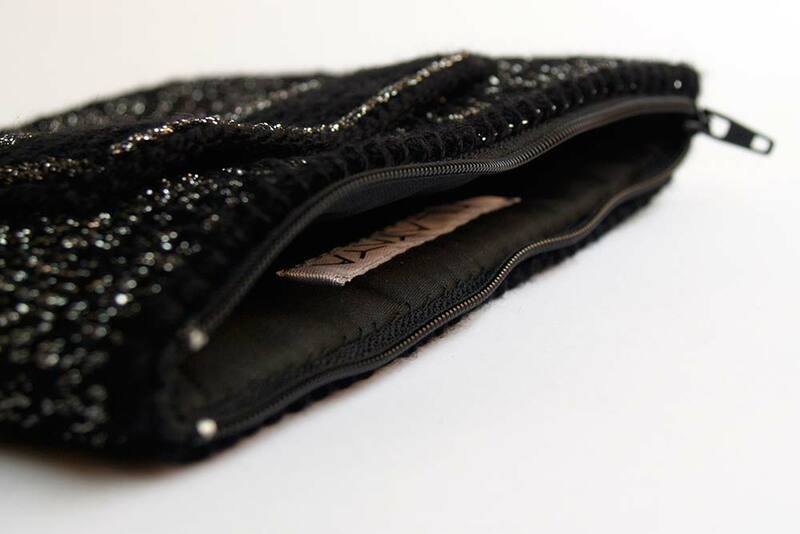 It is normally used for XL bags however we decided to put this piece in one of our small clutch for parties. 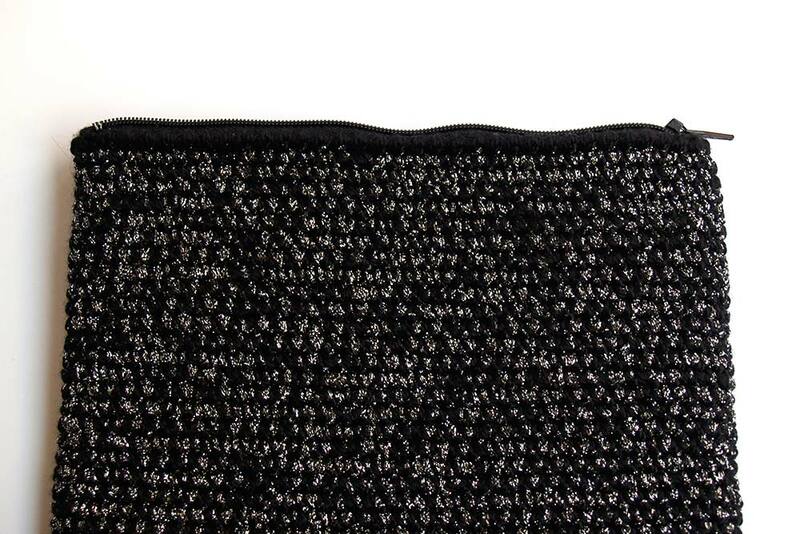 This autumn clutch is made with black cotton yarn and silver synthetic yarn. It is lined using black satin fabric and closes with a zipper. It sizes 19 x 14 cm and, of course, is totally handmade. 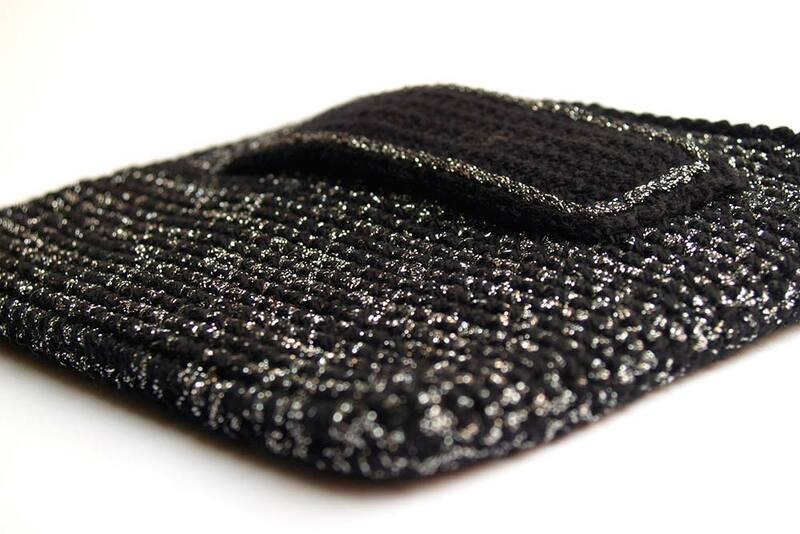 Do you like this black and silver crochet clutch? ola bom dia adorei as bolsas mas como fasso para ver o passo a passo .? Nosotras no trabajamos con patrones ni explicamos paso a paso cómo son nuestros bolsos. Pero si sabes hacer ganchillo, mirando las fotos sabrás cómo está hecho y podrás lanzarte a hacer algo de ese estilo. Te deseamos mucha suerte.